Finding someone who truly loves their job is often hard to come by. Dana Goodson considers herself lucky as she finds herself doing what she loves with Dana Goodson Photography. 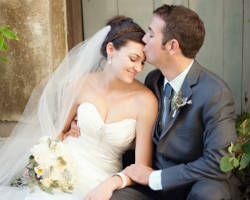 With years of experience in wedding photography, Dana offers a variety of customizable packages to her couples. Having Dana shoot your wedding means having someone who views you as pieces of art to be captured in an image that will evoke the emotions you were feeling at that exact moment when you look back. With full coverage and a keen eye, your wedding memories will last a lifetime. Would you like the most important day of your life to be captured by someone who is just in it for the money or someone who will work to make sure your spirit and emotion are saved in images forever? Life and Love Studio does everything they can to shoot not only people but also personalities. They offer photography and videography services so your whole day will be on film. 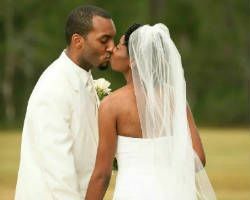 With Life and Love Studio, you have to book your wedding fast as they are a small, local photography boutique. 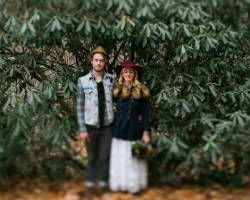 Jenn Hopkins Photography creates custom packages for each couple she works with. She knows that you are not like any other couple and your photography needs are different. That is why Jenn does not have a price list set but rather agrees on an affordable rate after working with each couple. With this photographer, you can expect personal touches, great attention to detail, and a fun personality to put you at ease. It is guaranteed that Jenn Hopkins Photography will capture your personality and emotions. Hannah Cooper knows that the dynamics of each couple and each family are different. As a mother of three, she is used to a hectic environment that is full of love. Hannah started Hannah Joy Photography to share her passion for photography and her unmatched talent behind the lens. Previous clients have given her work raving reviews so you know that you’re in good hands. Enjoy the work of this fun-loving photographer mom by having her shoot your big day. There is an energy between a couple in love that can be felt by everyone around them, and that is exactly what Mark Brian Photography is intent on capturing. The man behind the lens is a Florida native who has travelled around the world only to come home and shoot what he knows, love. 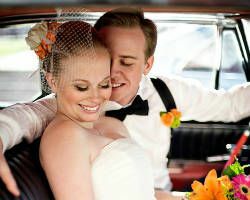 His passion as a wedding photographer is obvious in the images he shoots and his easy-going style. Since every couple and every wedding are different, contacting him directly is the best way to find out more about his services and rates. If you’re looking for one of the top photographers, not just in Florida, but in the entire South, look no further. Agnes Lopez has the experience and reputation to put your mind at ease on your big day. She has experience in editorial photography and has been featured in all of the well-known wedding publications with the best of the best. 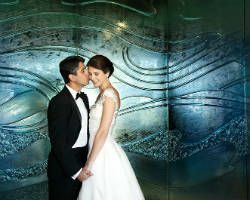 By looking at the timeless gorgeous work she has produced already, you know that you are getting the highest quality photography for your wedding. Britney Schnorr, the photographer behind Britney Kay Photography, discovered her love of photography after having her own wedding. Realizing the importance of capturing the beauty of love and romance helped her know that it is what she wanted to do. 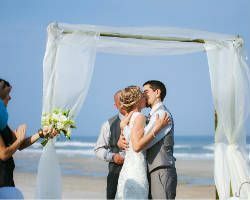 She offers wedding packages or a customizable option to make sure her clients get all of the photography services they want on their big day. With an impeccable eye and a passion for photography, Britney is a witness to your love story and will make sure those memories last forever. You are going to remember your wedding day for the rest of your life. It is the day you commit to your partner. It is important to choose the right photographer to make sure those memories are saved in beautiful photos forever. 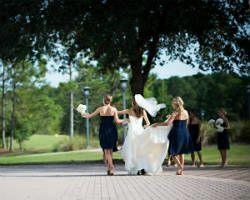 Choosing Petrova Photography ensures that you will have the highest quality images to remember your day by. This photographer has a passion for capturing the emotion of each person so she is surely the best choice to capture such an emotional day.